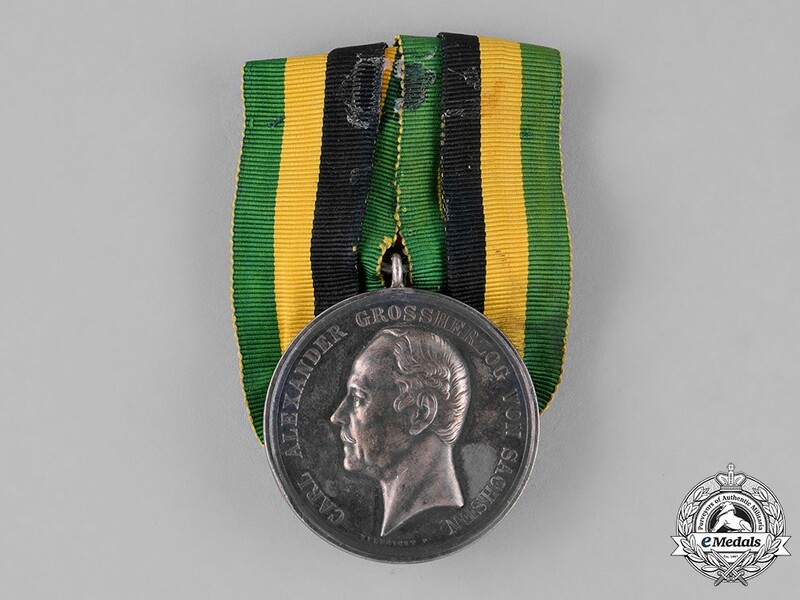 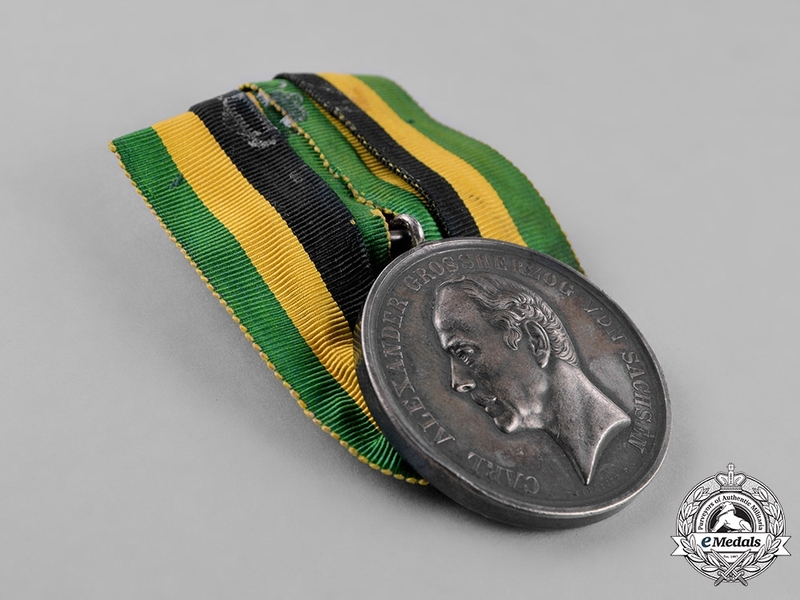 (Silberne Verdienstmedaille). 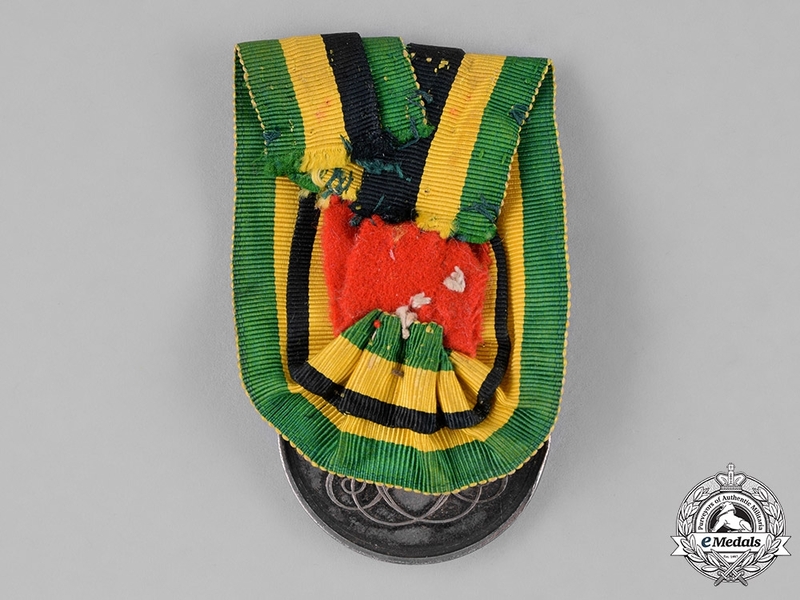 Issued 1892-1902. 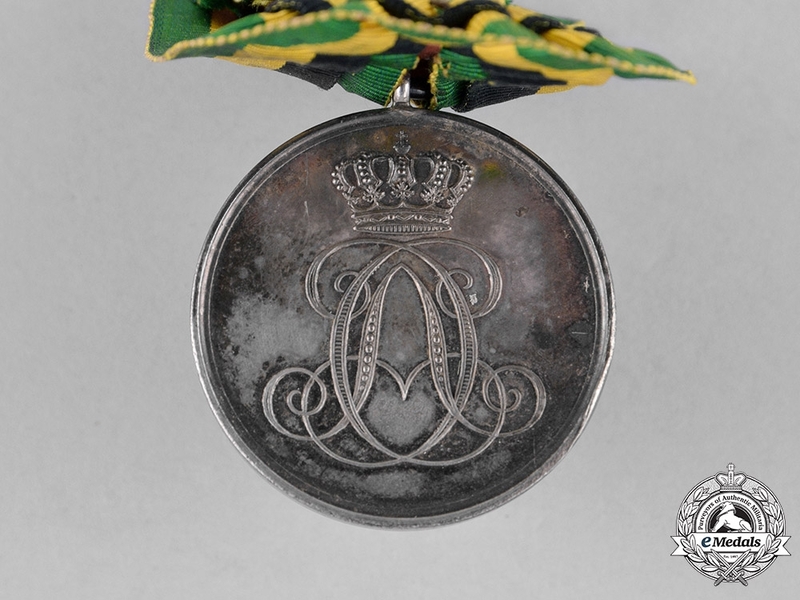 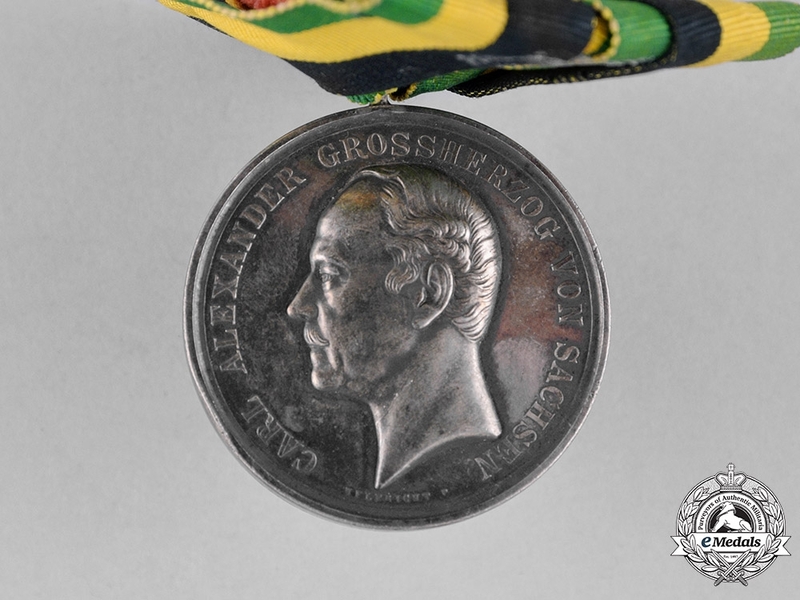 A round silver medal; the obverse depicting the leftward facing bust of Carl Alexander, circumscribed by his name and title; the reverse depicting the crowned royal monogram of Carl Alexander; on a loop for suspension from its period original mounting; measuring 35.98 mm in diameter; in overall very fine condition.